Curious about our upcoming EMS levy? 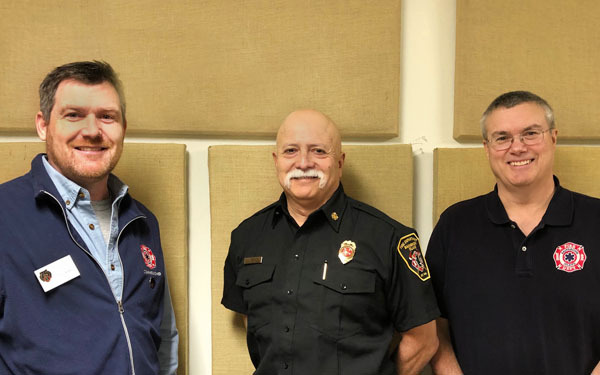 For this podcast we invited Fire Chief Hank Teran, BIFD Finance Manager Ed Kaufman and Fire Commissioner Tim Carey to explain why the levy is needed, why it’s set to be permanent, and what will happen if the levy fails. The levy, which is set to replace a previous levy that expires in December of this year, will fund not only EMS staff but also medical supplies, equipment, community risk reduction work, and training for our increasingly busy EMS squad. Partly because island population is aging, and partly because BIFD is the only organization on the Island that provides 24 hour emergency services, total BIFD call volume has increased 35% since 2012. 70% of those calls are for EMS and rescue services, and 30% of those calls are concurrent, so any reduction in staff could seriously impact the current response times. BIFD already has a permanent fire levy, but ours is the last district in Kitsap county to institute a permanent EMS levy. Though the department is legally allowed to collect at 50¢ per $1,000 property value, they are only asking for 40¢, based on the BIFD strategic plan and current financial projections. For more information and to view copies of the BIFD strategic plan, financial reports, community offerings and more, visit the Fire Department’s website at BIFD.org. Credits: BCB host and editor: Diane Walker; social media: Jen St. Louis.